The following is an interview with Melissa Blevins. She offers practical money tips to the free-spirited nerd. Melissa is also a former Beachbody coach, and her posts and Youtube videos on the subject have blown up on social media. As part of Side Hustle Week, I thought her experience may resonate with, or even caution, some readers. Melissa Blevins Explains Multi-Level Marketing And Why You Should Avoid It! What caused you to become a Beachbody Coach? 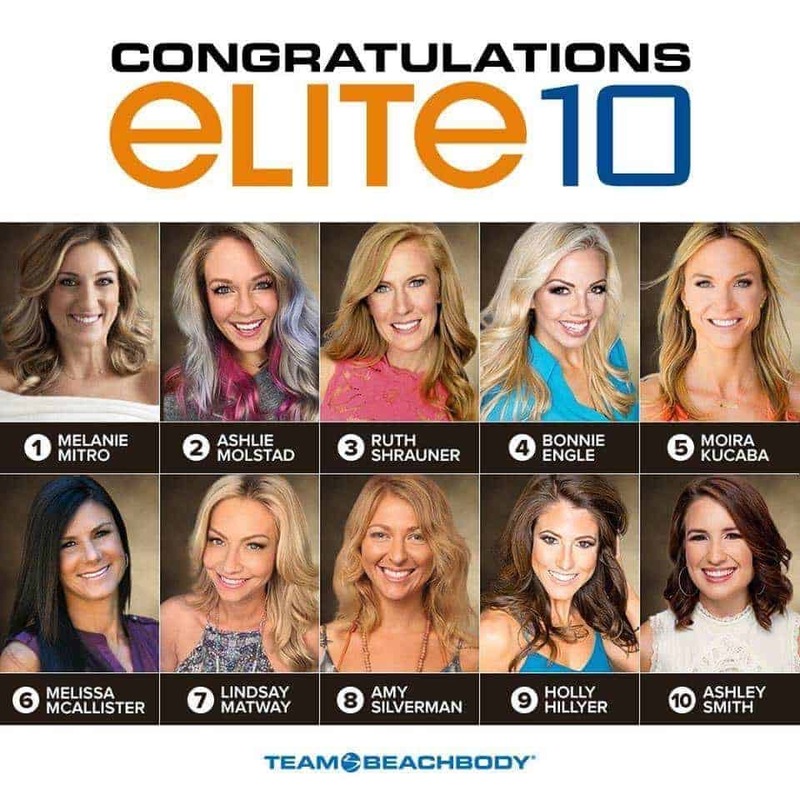 I’ve always looked for ways to grow my income, and actually, Beachbody coaching wasn’t my first multi-level marketing attempt. About 15 years ago, I signed on to be a Mary Kay representative. The local “Director” drove a pretty pink Cadillac and talked a good game about the “opportunity” to make money while helping women feel beautiful. I’ve always had an entrepreneurial hustle about me, and I believe this makes me a good target for multi-level marketers looking to recruit rock stars. Before I knew it, I had taken out an unsecured loan at my local bank to the tune of $1,800.00 to purchase inventory. After returning my inventory to the company for a 50% return of my money and paying off the loan, I vowed to never join another multi-level marketing pyramid scheme again. In 2014, after having just moved to a new area and starting over with no friends, I started looking for ways to get into shape. I thought exercise might be the way to curb some of the depression I was experiencing as a result of feeling so isolated and living in a place I really didn’t want to be. My ex-sister-in-law, Jocelyn, had been a Beachbody coach and had grown to “Diamond” status in just a few short months. Her posts filled my newsfeed every day with motivational posts that seemed like novels, and she was all about Beachbody. I reached out to her because I was recently a stay-at-home mom (new territory for me as I’d always been a working Mom), and I was trying to save money and just wanted information on Turbo Fire, a workout program I knew Jocelyn had some success with herself. Truthfully, I was going to get the information that I sought and purchase Turbo Fire on Craigslist. I’d already found it listed for sale. I was just super careful about my spending and didn’t want to blow $40 on something without researching it first. What is the appeal? Why do you think so many turn to MLM? As a stay at home mom with 3 kids, and in a new area with no friends, the community was something that excited me. Having the opportunity to “join” others in their “journey” to health and fitness was appealing because I felt so lonely and depressed. I longed for friendship and belonging. The opportunity to make money was also a big factor for me. As I said before, I have always looked at ways of supplementing our income, and if I was already going to be doing the workouts and drinking the shakes (which are a massive waste of money, by the way), I might as well share my story with others and get paid for referring them and helping them as well. I think multi-level marketing companies prey on women (and men, but especially women) because there’s a massive amount of women who crave the opportunity to able to stay at home with their kids. If making money from home is as easy as signing people up under your name (hence the term pyramid scheme), lots of women are willing to try it. What was it that finally turned you off to Beachbody? Where do I begin? First off, Beachbody’s #1 money-maker is Shakeology, a “superfoods” rich protein shake marketed as a meal replacement. Now that I know better, I realize that nothing replaces the healthiness of clean eating and moderation. Supplements are meant to complement your nutrition and workouts..not to replace full meals. You don’t need Shakeology to be healthy and lose weight/get into shape. You need a clean diet along with a fitness plan. That’s it. But without Shakeology, coaches can’t be successful. The entire business model revolves around Shakeology. Side note: Every time I mention that you must sell Shakeology to be successful, coaches chime in and say “We don’t HAVE to sell Shakeology. We WANT to!” Of course, you do….it’s the only way to make decent money with Beachbody. 1. Discount Coaches: Those customers who just want a discount on their products and have no intention of coaching others. 2. Hobby Coaches: Those that sign up for coaching for a few extra bucks and to have fun while promoting products. I don’t quite understand the value of being a discount coach or hobby coach with the cost it takes to maintain active coaching status and achieve your discount. And most full-time coaches that are successful are already sporting six-pack abs and a walking advertisement for Beachbody. It’s easy to sell a weight loss supplement and programs targeted at people who want to look like you….fit and gorgeous. Just take a look at the top elite coaches of last year. One of the other things that irritate me about MLMs, in general, is the expectation to befriend complete strangers with the ulterior motive to sell to them. For example, Beachbody operates on 3 vital behaviors. One of those is “Invite, Invite, Invite”. Coaches are expected to compliment strangers (either in person or through Facebook), and then offer them a “life-changing opportunity” to “join us in our journey to a healthier life”. They have scripts for this very purpose, and they’ve got it down to a science. Friend request 5 new people per day. Send a new friend a “Hi, hun! Thanks for the add! You have a beautiful family!”……5 back and forth sentences and then BAM! It’s so sleazy, and I just can’t stand it. Anytime I get a friend request from someone, they are fully vetted before I click the “add friend” button. So many women have resonated with your experience. What are you doing to help them? Yes, I have had hundreds of women comment on a post that I wrote about Why I Quit Beachbody Coaching. So many women were experiencing the same feelings, questioning whether Beachbody coaching was truly right for them. I compiled several of the comments together in this post where women can feel validated in their questioning of the coaching “opportunity”. I think women relate to my experience. Many are stay-at-home parents and wanted to earn an income to help out their spouse. Others are working outside the home but desperately want to quit their 9-5 and start a side hustle to help make that dream a reality. I started my blog as an outlet and a way to fulfill my calling of helping other women achieve their financial and professional goals without having to sign up for a multi-level marketing gig. I have always had a passion for helping others with their finances, and I’ve found that a blog is a perfect place to do that! I only wish I would have started blogging years ago (when I first had the entrepreneurial itch). When I read success stories of other bloggers who have made six- and even seven-figure incomes, I am blown away, but it helps me realize that it is possible for anyone. Sounds like what these ladies (and men) really want is to own their own business. What can they do instead? Everybody has a hobby or a passion, and I think everyone should build a business and monetize their efforts. Whether they enjoy writing, creating videos for YouTube, or doing some affiliate marketing, there are so many ways to start an online business, and you don’t even have to sign up under someone. The one good thing Beachbody coaching taught me is that personal development is key and investing in yourself will always pay off. These days, I choose to invest in courses to help me grow my blog and income instead of meal replacement shakes. Thank you, Melissa, for sharing your experience as a Beachbody coach. Remember, the most important thing about taking control of your finances is finding the plan that works for you and sticking with it.